Draftville will take place at AJ’s Good Time Bar, owned by Country Music Hall of Fame Member, Alan Jackson, and will include a variety of perks ranging from Draftville swag to all-you-can-drink Music City Light beer. A portion of the proceeds from the two-day event will go towards helping the ALS Association’s Tennessee Chapter in its mission to discover treatments and a cure for ALS. Wild Card Contest to join Alan Jackson on his 2019 Tour is now open! Vote for your favorite AJ's Band to win one of two more coveted slots on Alan's new tour. Congratulations to James Carothers, Amanda Daughtry & Jay Bragg for being picked to join Alan Jackson on his 2019 Tour! Come visit Nashville’s No. 1 Honky Tonk (Billboard) AJ’s Good Time Bar for a performance by USA Network’s Real Country finalist Jamie Floyd on Thurs., Dec. 13 at 7 PM CST. Nashville’s first artist-owned establishment on Broadway, AJ’s Good Time Bar, announces partnerships with Pickers Vodka, Maker’s Mark® Bourbon, and iconic outfitter Wrangler for Summer 2018. Additionally, the only 100% artist-owned bar on the street will offer select performances and songwriter's rounds throughout the weekend of CMA Fest. Stepping into AJ’s Good Time Bar on Lower Broadway in Nashville is almost like stepping back in time to the 1990s. Boss. Depending on who you speak to, the word can have many meanings with mixed emotions. Some people get along with their boss and some, well, maybe not so much. But ask any member of the staff at AJ’s Good Time Bar about their boss, Alan Jackson, and I guarantee they have nothing but fantastic words for him. One year ago today - October 5 - Alan Jackson opened AJ's Good Time Bar, an 8,000-square-foot entertainment mecca that's the only completely artist-owned establishment on Nashville's Lower Broadway. Thousands of folks pack the honky-tonks along Nashville’s Lower Broadway just about every night of the week, and one of their favorite spots is Alan Jackson’s new place, AJ’s Good Time Bar. The joint is always hopping with authentic country music in the spirit of Alan’s own catalog of hits. This weekend, cheer on your Nashville Predators and Tennessee Titans at AJ's Good Time Bar BEFORE, DURING and AFTER the games. Alan Jackson's sports bar is OPEN on the 2nd Floor. 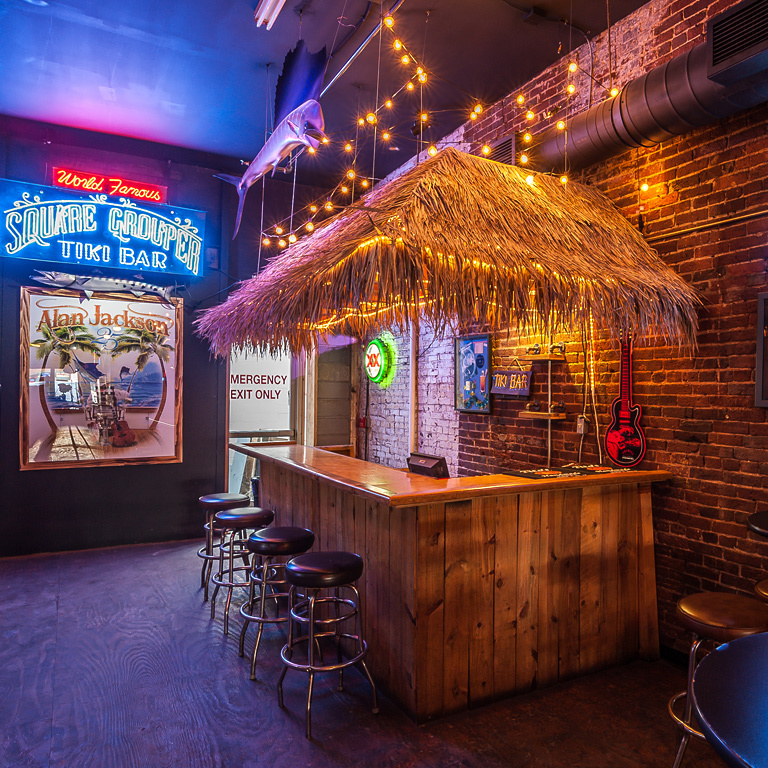 AJ's Good Time Bar opened for business on Wednesday, October 5, 2016. The AJs Good Time Bar neon sign was raised on Lower Broadway on September 30th. Check out the pics!